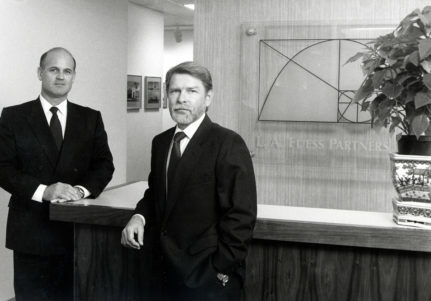 Founder of L. A. Fuess Partners, Inc.
Larry Fuess dedicated much of his life to structural engineering and to building a firm with a vision based on trust, professionalism, and excellence of service. He instilled that vision in the professionals with whom he worked – aiming for the highest standard of service to clients. His creative ideas contributed to the design process and the construction documents produced. His approach to quality structural engineering service encompassed every aspect of the business – from ideas and technology to personal service and economy of design. Larry considered the quality of ideas to be a fundamental tenet of his corporate philosophy. Always reaching for the limits of current technology, he was a pioneer in the integration of computer-assisted design and drafting; he continued, until his final days, to press for wiser and more efficient use of the newest technologies. Larry endeavored to offer the same high level of professional service to every member of a design and construction team. Integrating these values into the design process furthered his primary goal: the most economical structural solution that fully satisfies functional criteria and enhances design objectives. Larry’s exceptional career began in the 1960s with the completion of undergraduate and graduate degrees, with honors, in Architectural Engineering at The University of Texas at Austin. He spent the first decade of his structural engineering career employed by W. Clark Craig and Associates in Austin (1967-68), Chappell-Taylor and Mitchell Company in Dallas (1968-72), and Datum Engineers (1972-79). 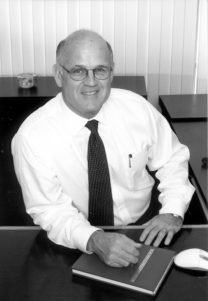 Larry served as President of Datum Engineers from 1977 to 1979. While with Datum, he helped to engineer projects ranging from the Lew Sterrett Justice Center and the Southwest Medical School Addition at Parkland Hospital, to the U.S. Embassy in Geneva, Switzerland. In 1979, he set out to start a new firm: L.A. Fuess Partners. 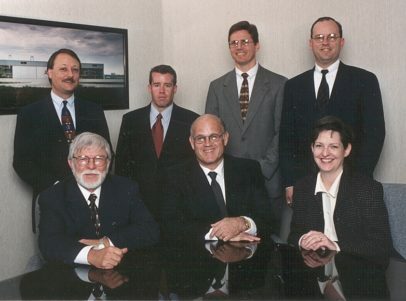 With his first partner, Loyd Johnson, Larry nurtured a young firm with a handful of engineers and technicians in the early 1980s into the largest structural engineering office in North Texas by the late 1990s. 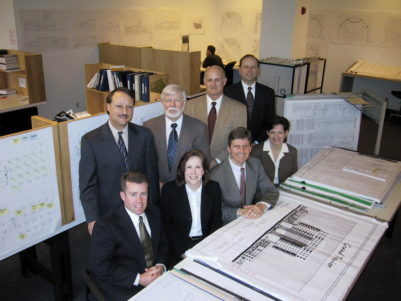 Respected among his peers and innovative in his approach to his work, the firm’s projects under Larry’s leadership were recognized with national structural engineering awards on numerous occasions. Equaling his devotion to quality was the heartfelt respect he held for his clients and fellow professionals, and the appreciation he expressed for the doors they opened for him and his firm. Larry generously sought out opportunities to share his expertise, design approaches, and ideas with young architects and engineers, encouraging them to envision and pursue their own potential for excellence, achievement, and professional growth. 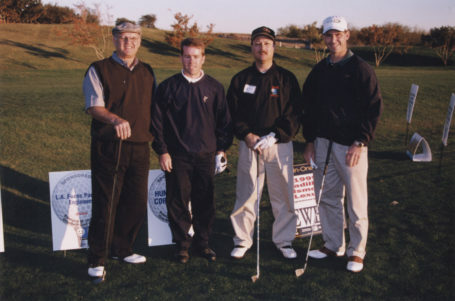 Larry was active in many pursuits outside the workplace throughout his career. 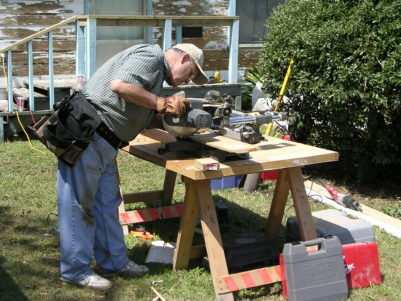 He helped found SEAoT, the Structural Engineers Association of Texas, in the early 1980s. 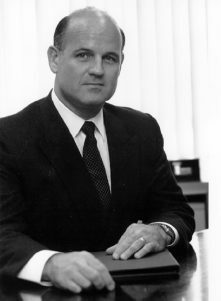 He served as the organization’s president in 1985, and later as a director. 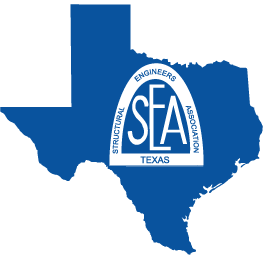 He would draw a large audience of peers when called upon to present technical programs to SEAoT (he spoke about the award-winning Alliance Airport Hangar project to a record crowd before SEAoT’s North Central Texas Chapter). Larry maintained active membership with the National Society of Architectural Engineers, and served on its Board of Directors. In early 2004, at the request of the American Institute of Steel Construction, he had the pleasure of serving as one of three jurors for AISC’s Engineering Awards of Excellence program. 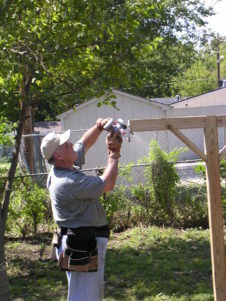 His community service extended to a number of other organizations as well; including the City of Dallas Urban Rehabilitation Board, the Greater Dallas Planning Council, The UT-Austin Department of Civil Engineering Visiting Committee, and as a board member for the Dallas Old City Park. In the midst of a flourishing career as President and CEO of the firm he had begun 25 years earlier, respected by his friends, peers, and colleagues, and beloved by a large extended family, his life was tragically and suddenly cut short by the effects of pancreatic cancer. Larry passed away in April of 2004. His accomplishments and his values live on in the memories of his many surviving family members and in his colleagues and peers. 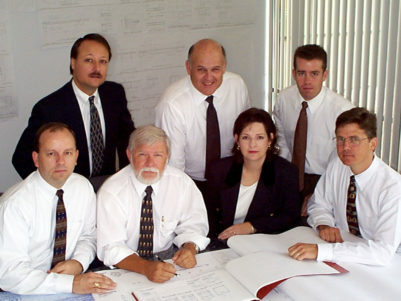 In his memory, the Lawrence A. Fuess Endowment Scholarship in Architectural Engineering was established through The University of Texas at Austin’s Cockrell School of Engineering. The Lawrence A. Fuess Endowed Presidential Scholarship in Architectural Engineering was established by the Board of Regents of The University of Texas System on August 31, 2004, for the benefit of the Cockrell School of Engineering. Gift funds were provided by Larry’s widow, Temple Wynne, his daughter and son-in-law, Aynsley and Gerardo Interiano, his stepson, Michael Angus Hanschen, friends, Jack and Carol Corgan, and Mary Beth Parker, and L. A. Fuess Partners Incorporated of Dallas, Texas. The endowment honors Mr. Lawrence A. Fuess of Dallas, Texas, a 1969 graduate of The University of Texas at Austin Cockrell School of Engineering.